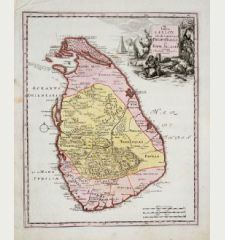 Early woodcut map of Ceylon / Sri Lanka printed in red and black. 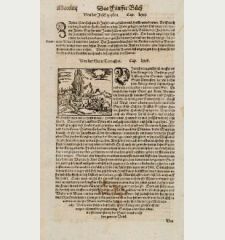 From Bernardus Sylvanus also known as Bernardo Silvano of Eboli Ptolemy edition 'Claudii Ptholemaei Alexandrini liber Geographicae...', printed 1511 in Venice. 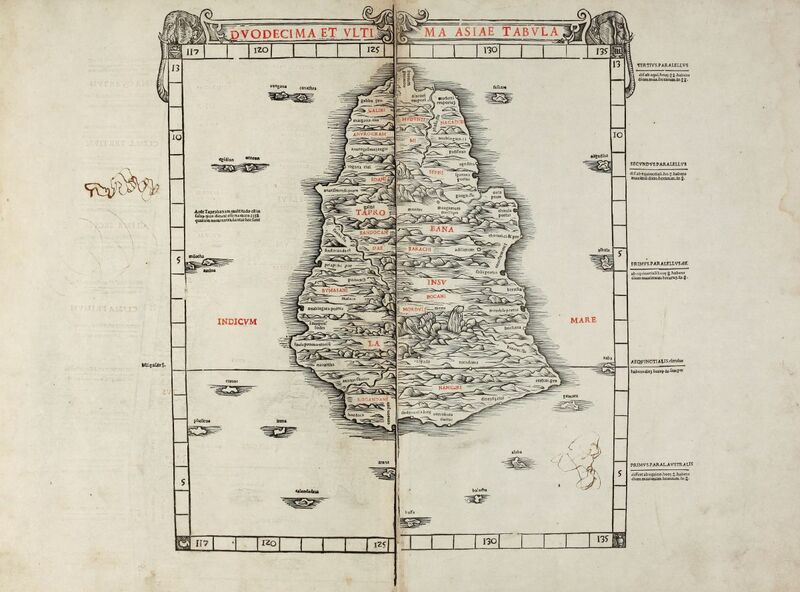 Sylvanus created a unique hybrid of Classical and modern information on his maps for his 1511 edition. He fitted Ptolemy's list of provinces, towns, as they existed in the Classical period to the modern geographical outline of the coasts, rivers, and mountains. 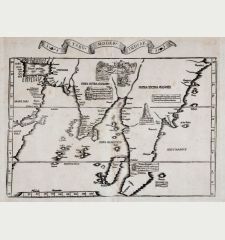 The map have been printed in two colours - black and red, one of the earliest examples of two colour printing. Each of the map sheets of Sylvanus printed on both sides, so halves of two different maps are on the back side of this map. 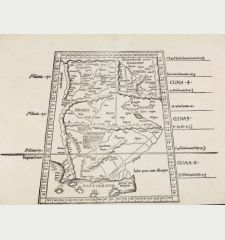 As a result, Sylvanus maps are very rare on the market and certain maps virtually never appear on the market, where they appeared on the verso of maps which were more heavily soughtafter by collectors. 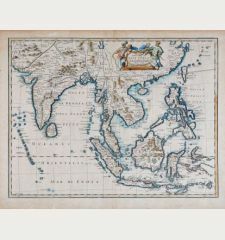 In this case, verso right half shows the map of India beyond the Ganges with the description of the Chinese Sea with Southeast Asia, titled 'Undecima Asiae Tabula'. Reference Karrow, R.W. 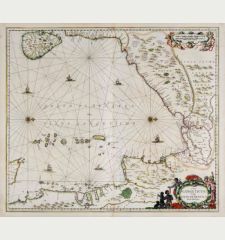 (16 c.) 75/54. Printed on two leaves which have been rejoined, some scribble in ink by an old hand, very good conditions. 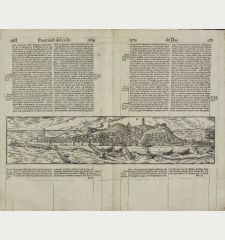 Bernardus Sylvanus: Duodecima et ultima Asiae tabula. 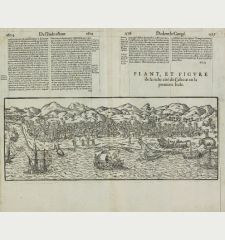 Plant, et Figure de la riche cité de Calecut en la premiere Inde.